For those without comedic tastes, the self-proclaimed experts at Wikipedia have an article about The Yardbirds. The Yardbirds are primarily dug for inventing Hard Rock, Heavy Metal and Psychedelic Music - for which they were paid in Fool's Gold. 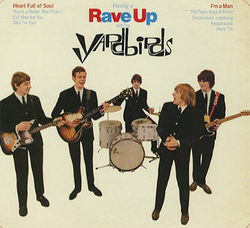 Before the Yardbirds popular music was extremely nerdy - with grinning goof-ball bands like the Beatles playing moronic juvenile love songs, such as, I Wanna Hold Your Hand and Luv Me Do. 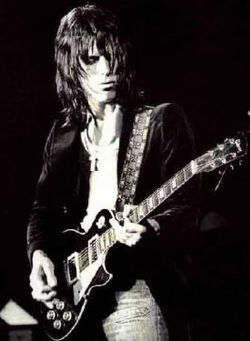 The Yardbirds changed all that by writing sensible songs, like Over, Under, Sideways, Down, as well as by introducing the proper use of a previously misunderstood stringed instrument called guitar. The Yardbirds crossed the electric guitar with fuzz, feedback, distortion, sustain, god-awful attitude, and maximum volume - quite a heady mix of controlled chaos. They're also famous for their Rave-ups, as well as their affinity for playing musical chairs on lead. Picture taken from Websters Illustrated Dictionary under word, "Yardbird"
They are credited with starting hippie music by accident. 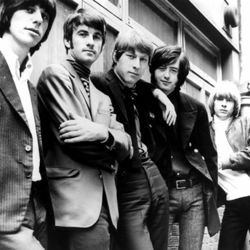 The Yardbirds are the only band who are considered founders of Yardbirdism which transmuted into Psychedelic Music which further evolved into hard rock, and is finally named Garage. Since their careers first took off at the Crawdaddy Club, NOT as a poor man's Rolling Stones, The Yardbirds single-bandedly invented hard-rock as it is known today. 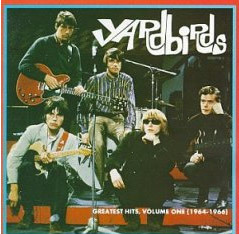 The Yardbirds had many hit singles. Some of the most memorable are: 1) Heart Full of Soul, 2) I Ain't Got You, 3) Da Naz is Blue, 4) I'm Not Talking, 5) Lost Women, 6) Shapes of Things, 7) Mister You're a Bloody Wanker Better Man than I, 8) Over, Under, Sideways, Down, 9) I'm a Man!, 10) Happenings Ten Years Time Ago, 11) Psycho-daises, 12) Train Kept a-rollin/Stroll On, 13) Still I'm Sad, and their most influential hit 14) You Don't Need Money! This article was nominated to become a featured article; however, due to several votes being devoured by a club sandwitch, it didn't make the cut (9/12). Don't let this happen again! For just pennies a day, you can prevent another travesty of this nature, or vote for other articles at Uncyclopedia:VFH. This page was last edited on 4 July 2013, at 02:11.